Meanwhile, boil potatoes in cooker for 15 minutes. Remove the potatoes from the cooker and allow them to cool. Once the potatoes have cooled, peel the skin and keep them aside. 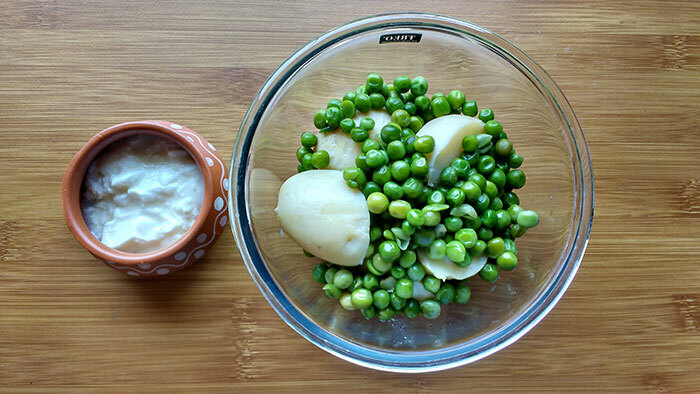 In bowl, take the peeled potatoes, boiled spinach and peas. Put 1/2 tbsp. of chili powder and turmeric powder, 1/4 tbsp. of black pepper powder and salt as per your requirements. Also put 1 tbsp. of curd and 1/2 tbsp. 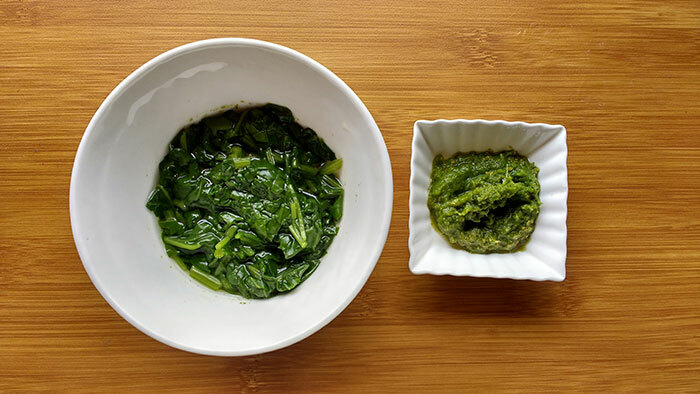 of garlic-coriander paste. 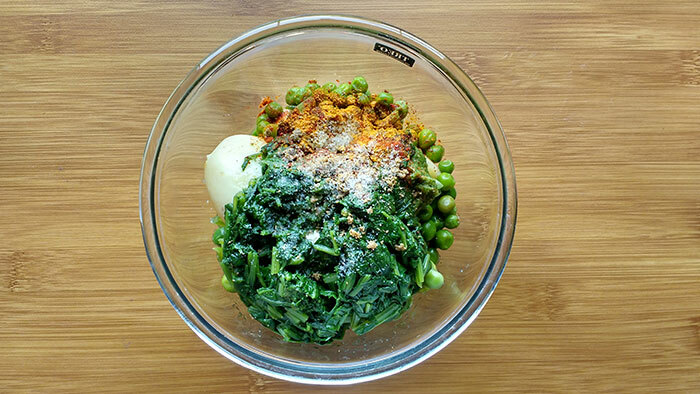 Mash all this together. 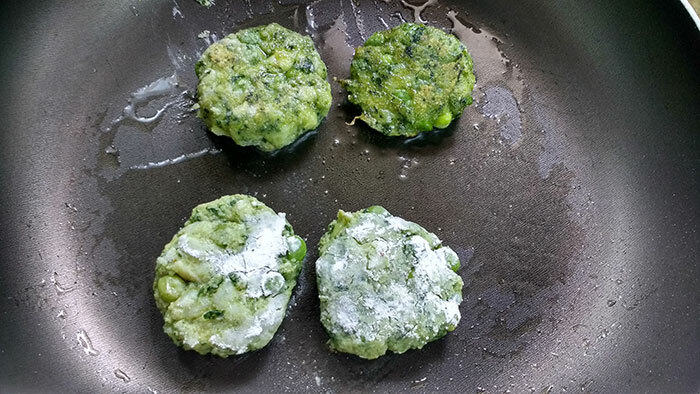 Keep the corn flour coated discs on the pan and roast them lightly until they are golden brown in color. 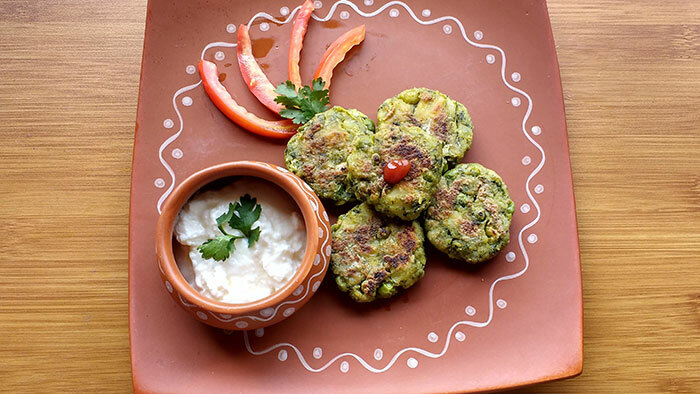 Serve with curd or tomato ketchup, both taste equally yum!